More and more internet users browse with their mobile device, phone or tablet. 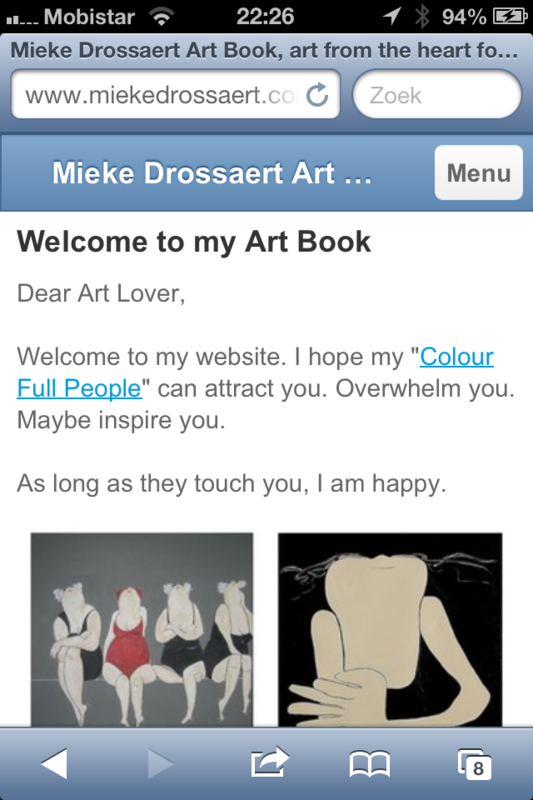 Therefore I also adapted my site www.miekedrossaert.com to make it much easier to view with your smartphone. 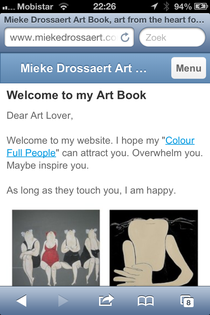 It's easy: open your browser, search www.miekedrossaert.come and the website is there, adapted to your mobile. Enjoy! If any questions, please contact me. Remarks and suggestions are welcome as well!